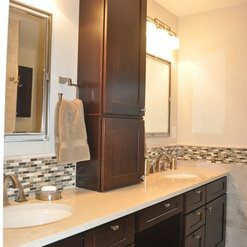 We hired Hawks Renovations to do a significant remodel of our master bathroom and we are quite pleased. Chris Hawks and his crew were very responsive and always showed up when promised or if they were going to be late, they let us know in plenty of time. After measuring and observing our bathroom, Chris and his designer Rebecca sat down with us and came up with an estimate. The allowances were spot on and we came in $80 under the estimate. 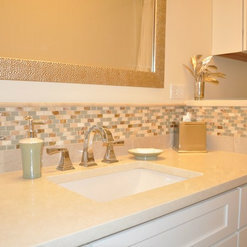 The work done included new cabinets, countertops, floor tile, bath tile, bathtub, lighting, mirrors and minor plumbing and drywall work. Rebecca was an immense help especially since we weren’t great in articulating what we wanted. She accompanied us to the tile and countertop dealers and steered us in the right direction. We couldn’t be more pleased in how the bath turned out. All the Hawks’ crew and subcontractors were very professional. We had gotten one other bid to redo the bath and it was roughly twice what Hawks estimated. We were impressed by their honesty and integrity and most of all, the finished product. 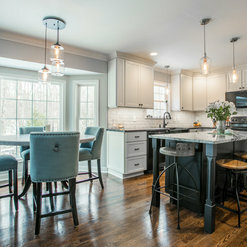 My renovated kitchen, completed by Hawks Renovations, is my new favorite room in our home. I had a vision in my mind and with Dennis' guidance it came to fruition. Dennis was great to work with and all subcontractors were respectful of our family and home. I can't say enough good things about Hawks Renovations. 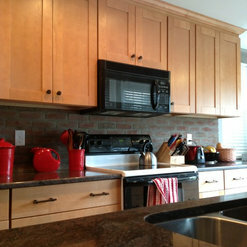 They handled the renovations to our home with professionalism and great attention to detail. They remodeled two bathrooms, took out a wall and remodeled our kitchen, added closet systems, added built-in desks to our office, and remodeled the laundry room to include tile, shelving, and a barn door. This company really pays attention to you and your project. Our project manager was on site almost every day, and all of the workers (and subs) were highly skilled and clearly wanted to to the best job possible. The quality of the work was superb throughout. They kept the place looking neat and clean throughout the renovations, and went above and beyond to make sure all the details were taken care of. We were pleased that they worked with us to keep costs down and that they kept to the schedule for the project. I would recommend Hawks to anyone. Thank you Val! 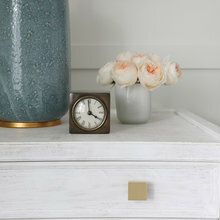 It was a pleasure to work on your home and bring to life your dream space. We always appreciate working with great clients like you! If you need anything else, please don't hesitate to let us know. P.S. 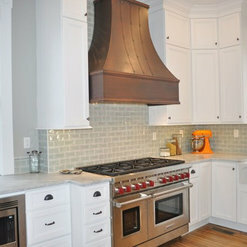 We love your fun colors in the glass cabinet! 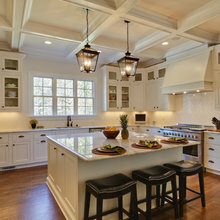 It really makes the cabinets pop! I will recommend Hawks to my family and friends. 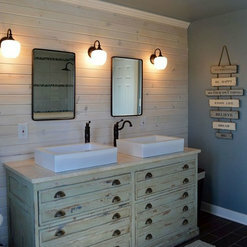 I had a total master bathroom make over. The work was performed on time and the quality of the work was outstanding. They were very flexible with changes we made along the way. We are thoroughly enjoying at new shower and bathroom. Hawks has completed three projects on my home: Gutters and siding, bathroom renovation, and a brand new deck. 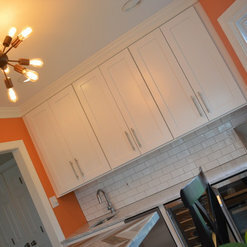 They are professional, courteous, and always have a "can do" attitude, no project too big or too small! Every interaction with Chris is a pleasure, his knowledge about home projects/renovations puts my mind at ease, and no matter what they're working on I know it'll be done right! It's hard to find a contractor you can trust and not feel like you're getting ripped off, Hawks is fairly priced and worth every penny for the caliber of people they have on board! I will definitley use Hawks in the future for any other projects and recommend to friends and family. I enjoyed working with Hawks Renovations. We needed to replace the columns on our front porch due to weather rot. Their representative gave us a couple different options and recommendations for replacement material. After making our selection, the work was completed quickly and professionally. Looks great! We will definitely work with Hawks in the future as we make needed repairs and upgrades around our home. Hawks Renovations was recommended to us by a friend who knew we were struggling with a basement remodel. Hawks was fair, reasonable and professional in all of our interactions. From their timeliness to the quality of their workmanship, they were a pleasure to deal with from start to finish and I have recommended them to my friends. Hawks Renovations did work in our kitchen. 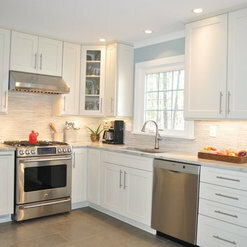 They installed the cabinets, countertops, the sink and garbage disposal. They did a fantastic job. The work was done in a timely manner. A job well done! Thanks Hawks Renovations. Hawks Renovations have worked on and completed a number of projects for our home in Ashland, VA, including two bathrooms gutted and completely redone, plus all windows in the home replaced. These folks are outstanding for the following reasons: (1) bids are done accurately. (2) their work and that of people hired are thorough and correct, as well as providing consistently great clean-up. (3) Suggestions and recommendations reflect knowledge and expertise in the contracted work. (4) All staff members are cooperative, thorough, and an absolute pleasure to work with. I highly recommend HAWKS RENOVATIONS for home projects. 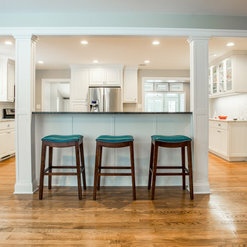 chris hawks and his team did a fabulous job in remodeling my small kitchen, right down to removing a wall and organizing the sub-contractors. the workmanship is superb. what makes it so special is that chris is a wonderful person, easy to talk to, caring, and on top of every detail. it makes a fine job even finer when you thoroughly admire the people who do the work. 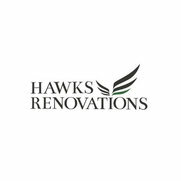 i highly recommend hawks renovations without reservation. you can't, in my view, do better! 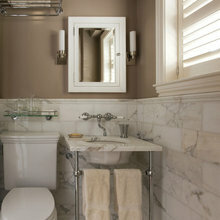 Committing to a complete bathroom renovation is a huge undertaking. Our master bath project included new tile, heated floor, fixtures, vanity, tub, roll-in shower, window, paint and a new design. Our goal was to make our bathroom senior ready. Hawks won our confidence with the thorough design consultation followed up by many emails and phone calls until we came to a comfortable compromise between design features and price. The project was arranged so that each contractor had ample time to finish before the next phase started. This helped us to inspect the work at the end of every phase but did cost us many extra days in the scheduling of the various subcontractors. The Hawks team helped us to find all of the components of this project by suggesting tile and fixture retailers that became a part of the team. 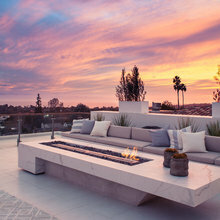 They helped us to see our design more clearly and used their unique knowledge to help us choose products that were safe, practical and fit beautifully in our plan. The finished product exceeded our expectations. Commented: West End bathroom remodelI believe that my client got it at Home Depot, but it has been about 3 years, so I am not 100% sure. 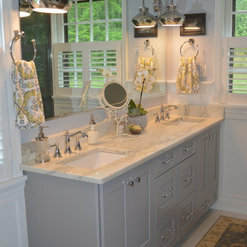 Commented: Vanity hardwareI asked my client from a few years ago and they said that they purchased the vanity at Home Depot and the pulls were included. Commented: Love the mirrors. Where are they from?I apologize that we did not answer your question. I was not aware of it. I am not able to find out where the client purchased the mirrors. Commented: What kind of tile flooring is that?What color is the paint in the picture? It's gorgeous!